It’s that time of the year–BACK TO SCHOOL. While I’m not looking forward to being in charge of getting 5 people up and out the door by 7:45 AM, I am excited to have some ME time back and for my children to expand their little minds in all things educational. Um…could someone hand me a paperbag? My daughter will be a freshman this year–that’s right mamas I said it. Freshman. 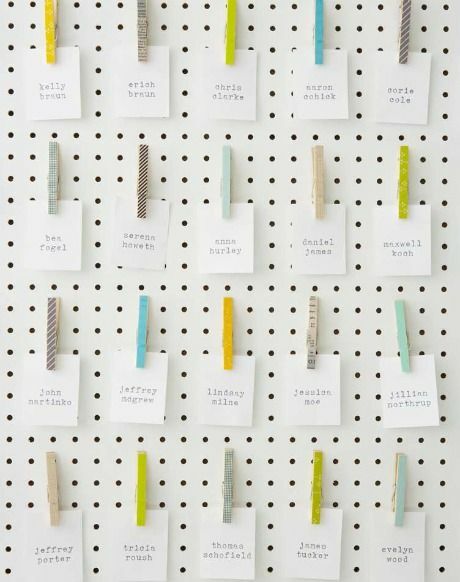 And just in case you’re a Pinterest Lovin’ Mama, I created a board for Back To School. It’s filled with tips, ideas, organization, and more. Click here for the board, in the meantime, here are 11 tips to organize, divide, and conquer to keep your sanity, the house clean, and ideas to organize; plus there are tips for parents about IEP’s, The ADHD Bill of Rights, and what to do if you suspect your child has a learning disability. The first day of school is not a time for a drastic adjustment of household sleep schedules. Instead, ease children back into a school year routine gradually. Beginning in August, have your children go to bed 15 minutes earlier each night until they adjust to the designated bedtime for school nights. So if you’re child is used to going to bed at 9:30, begin putting her to bed at 9:15. Also begin getting them up 15 minutes earlier as well. Mornings can be crazy but you can control the chaos by getting your kids into a routine. A little structure goes a long way. Set up an area for backpacks, shoes, coats, lunchboxes, etc have your kids ALWAYS store those items there. Decide when and where they will do homework, when homework is done–it goes back into their backback. Do a dry run: have everyone get up and go through the morning routine and then surprise the kids with ice cream for breakfast or a trip to the beach. 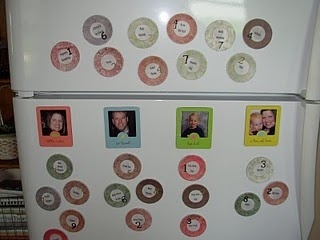 VISUAL AID TIP: Create a Visual Schedule for your child with special needs. Click here for downloadable graphics and click here for a VISUAL Schedule: Ready-for-school. ADHD Kiddo Tip: For parents with kids of ADHD, get your child up sooner. This will allow the extra time he needs to focus on the task at hand of getting ready for the day. We wake our son up a full hour before our girls. This gives him PLENTY of time to get through his routine. Tip for ADHD Kids: Click here for the ADHD BILL OF RIGHTS to share with your child’s teacher. IEP TIP: IEP CHECK LIST. Some kids have a hard time transitioning from one task to the next. It’s especially helpful to tell your child about the next transition. For example, I tell my son,”In 10 minutes, breakfast will be over. Lige we have about 2 minutes left. 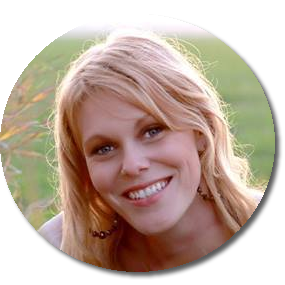 I’ll meet you in the car in one minute.” This allows them to begin thinking about the next task at hand, relieves the anxiety and prods them to begin prepping for the next big thing on your agenda. Before school gets you back into the full swing of busy schedules, take a day off work or time away from the kids to get the house reorganized. De-clutter, reorganize each room. 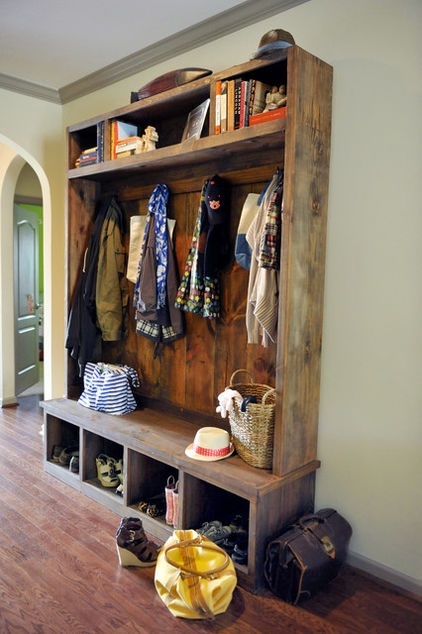 Clean out your closets, get the kids closets ready for the year, stream line your mud room. This take the stress of “shouldas” and “to-dos” off your shoulders and helps you feel ready for the year. Besides, who wants to be tripping over pool floaties and roller blades? 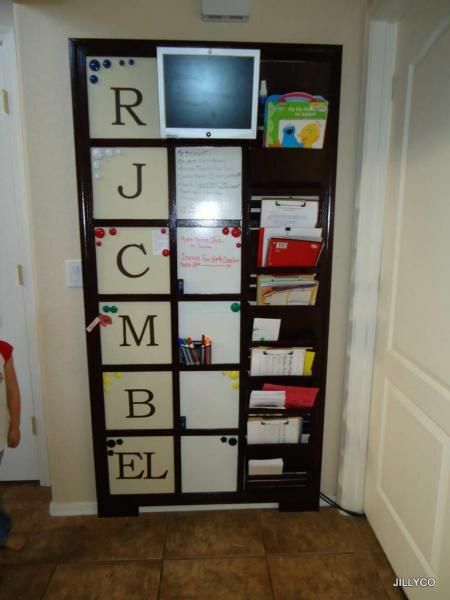 Create space for your kids to place their shoes, backpacks, sports gear etc. And begin getting your children into the habit of setting out their clothes the night before and have them place their backpacks (already packed), shoes, etc in its designated place. This keeps you from being frazzled and 30 minutes late because you won’t be searching for the lost shoe or book. This also includes creating space for homework. 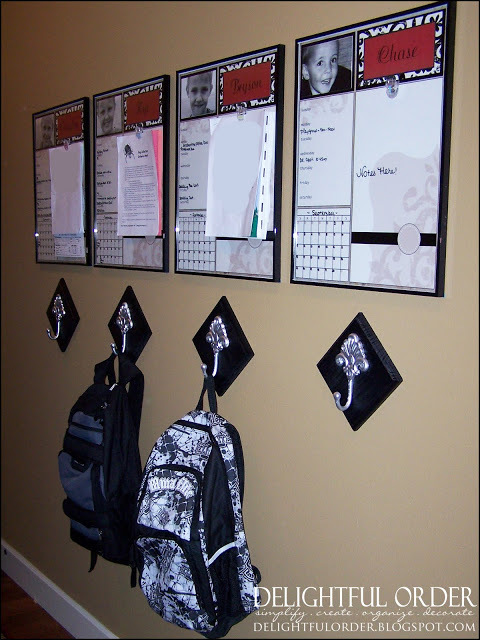 If your child has a planner that you need to sign daily, show your children where they are to place their planners when they get home from school. Once you’ve reviewed them, place it back into his backpack. Command Central created by Ana White. I’ll be creating a space like this on my wall by the door. Can’t wait to show you a picture. Pinterest Pin: Love the rustic look. 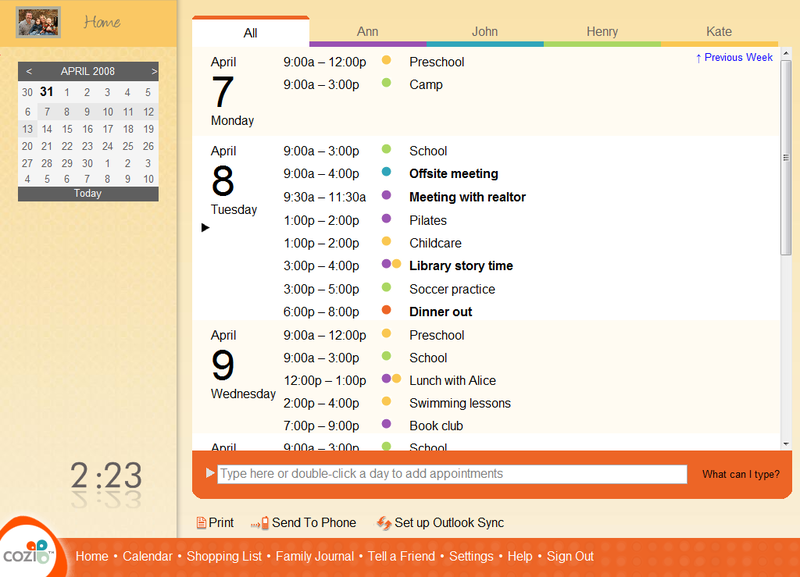 Nothing calms school year chaos like Calendar Central: a centralized site for all family calendars and schedules. You’ll need a family event calendar to track after-school activities, school programs and volunteer work. 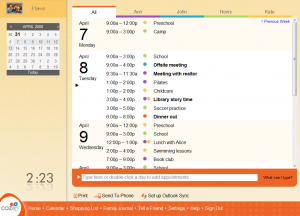 Add specialized calendars and schedules, and you have it: a one-stop shop for family time management. It helps to know who is doing what, when, where, why and how. 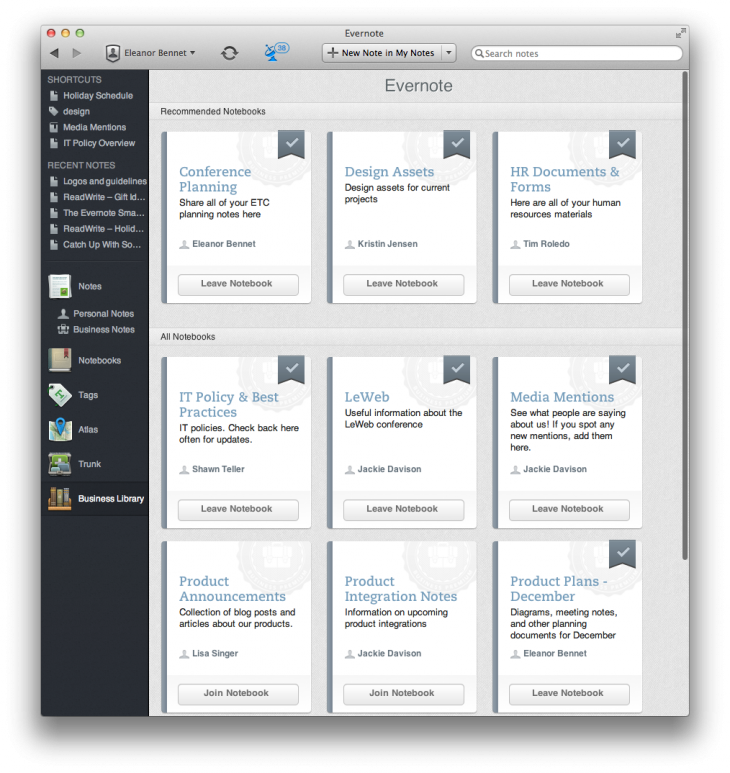 It’s hard enough to keep track of your own schedule, so create a command central so everyone is on the same page. My husband and I sync our phones and use Google Calender. This pulls in all dates, activities, etc from emails sent by the kids’ schools, work events and so on. I then add these things to a calendar on our wall to give us a view at a glance of what is going on as well. This helps our entire family get on the same page. If you use a calendar application other than Cozi, you can import individual Cozi circle member’s Cozi schedules into it. Conversely, you can export your Google, Apple iCal, or Outlook calendar into Cozi. In either situation, the imported calendar will be accessible as a view-only file. To enable full editing, you must download Cozi Outlook Toolbar. Families will spend a ton of money just on the beginning of the school season. So instead of draining your bank account, plan before you shop. 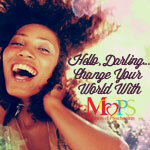 A Child Clothing Swap: Get together with a group of moms, bringing the best of your child’s outgrown clothes. Swap each other’s piles of clothes for items that fit your child. Facebook Exchange: Nearly every city has one. Go online and post a status looking for certain sizes of clothes. You’ll save big bucks. Review Ads. Department stores begin changing out items for school in the middle of July. You can shop for great deals by getting “last season’s” styles. I often shop for my kids a year ahead of time, meaning when everyone is shopping for summer clothes in spring, I’m making bank on winter coats which are priced at clearance. Set a budget and if your child wants a certain brand, have him contribute towards the purchase. Consider creating a filing system for each child. Important papers like school rules, orientation, communication with teachers and school artwork can be place in a designated file for each child. Then during Christmas and Spring Breaks, clean out the folder. Store artwork in a tote and toss the rest. We keep our child’s files with our bill binder. As we get in important pieces of information, I record events and apts on our calendar and file away the paper. The biggest lesson I’ve learned in the 15 years of being mom is planning ahead. This also goes for the school day. Every night before we go through our bedtime routine, I ensure each child has his homework done, put in his backpack and is all ready to go by the door. This goes for clothes and shoes. The kids lay out their clothes the night before, this includes socks and belts. I also make it clear that this is their responsibility. I communicate with my children’s teachers as well that if they are missing something, it is on my child’s shoulders to take care of it. This instills responsibility in my child and relieves the stress of having to do so much. I also set out what I will need for breakfast, including bowls, spoons, etc. It helps the kids begin to take on independence as well. They can pour their own cereal or make their own toast. One of the most hectic moments for me is cooking, mainly because if I’m rushed or I’m trying to throw something together at the last minute–I will set it on FIRE. No joke. Ask my Facebook friends. So to avoid the stress of “What’s for breakfast, lunch or dinner,” I pulled 5 menu items for each meal and write it on my chalkboard AND add it to our family calendar. This keeps everyone on the same page and if my husband can pitch in, he will since he knows what the menu options are. This also drives down your food budget and allows you to make more items from scratch. Even I need motivation to be ready for my day, so I reward myself with my favorite cup of joe after I get my chores done. The same goes with my kids. 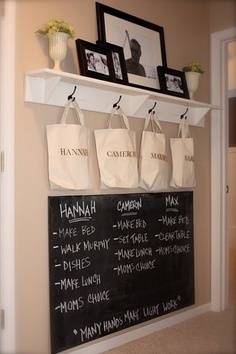 In order to help maintain a clean home and stay organized, I use chore charts with my kids. Each child has designated chores, being ready for school is on the chart. Each weekend, the kids are rewarded by how well they’ve completed the tasks throughout the week. I generally just use a sheet of paper and mark it off with a pencil. But here are some great ideas! Love the versatility of this one. It allows for me to change up who is doing what chore. 1. Create a laundry schedule when each child can wash his or her own laundry. 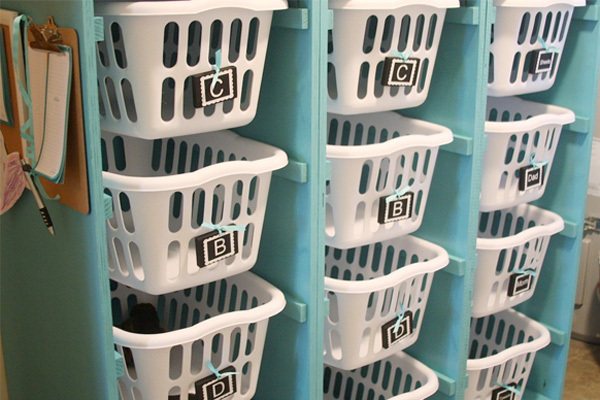 Since we teach our kids to pitch in for ALL chores, they also help with the laundry. This means they toss their laundry in the dirty laundry basket and each of us take turns sorting, washing, drying. And here comes the magical part: when I ask the kids to switch out laundry, they take the clean clothes from the dryer and put it into each person’s basket. Depending on who I ask, they will sort and fold as they put it into the baskets. Mommy Bliss! Going Back to Work? 5 tips to make the working mom thing easier. Thanks Sarah, glad you stopped by. Do you have any tips for Back to School? Good insight Robbi. The for stopping by!